Discussion in 'Introduce Yourself!' started by PineappleRyann, Dec 14, 2018. 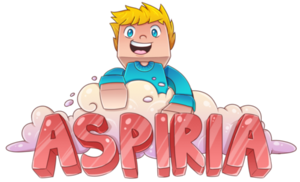 My in game name is PineappleRyann, I've been on this server for like a week now and it's pretty cool so Ima introduce myself. My name is Ryann and I'm 19 years old and I play Minecraft and I have a job irl and I'm going to school and stuff. I'm also pretty lame but ya know. I'm friendly, I don't bite I promise lol That's basically me! Thanks for reading this boring intro!